The Sigma APO 70-200mm F2.8 II EX DG MACRO HSM lens was introduced in 2008. The Sigma 70-200mm f/2.8 EX DG HSM Lens contains a very popular and functional focal length range in a very well built, well-featured and well-performing package. The Sigma 70-200mm stayed on the camera most of the day and the overall results were pretty good. Colors were rich, background blur (bokeh) had a pleasing look, and details were fairly sharp – though not always in the areas that I thought I had locked focus on. Once you have had the opportunity to shoot portraits or sports with an f/2.8 long zoom lens, in this case a 70-200mm, you really never want to go back to what you were using. The overall tonality of images shot with the Sigma 70-200mm is outstanding. Colors are accurate, details are especially sharp in the middle range of apertures (f/6.3 – f/11) but a bit softer when shooting wide open (f/2.8 or f/3.5). The shallow depth-of-field created at f/2.8 is perfect for portraits, nature, and sports photography and the quality of the out of focus area, often called the ‘Bokeh’ of the lens, was very pleasing to my eye. This lens uses with a HSM (HyperSonic Motor) variant of ultrasonic focusing for fast, accurate and near-silent operation. At middle to longer distances, focus was generally accurate and consistent, and was also fully able to track fast-moving subjects when used in continuous AF mode. 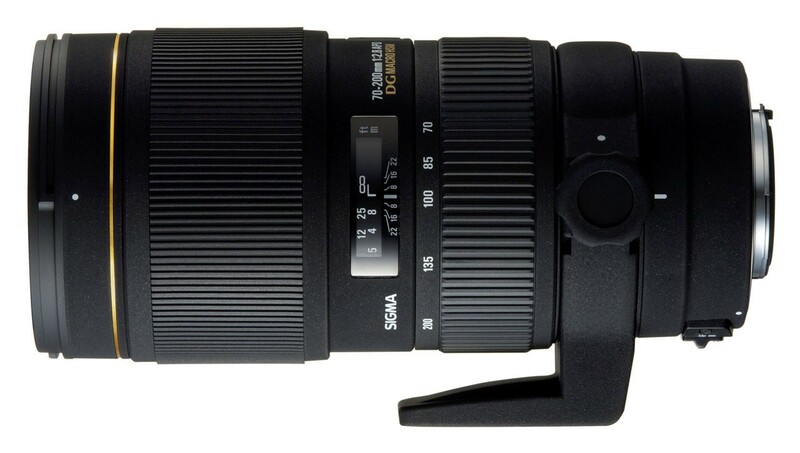 While the Sigma 70-200mm f/2.8 II lens may not be a true macro in the sense of offering a 1:1 magnification ratio, many users will find it more than adequate for some basic macro work. From test shots taken in macro territory I discovered if you keep the aperture at f/6.3 or smaller you can get some very sharp images, but with wider aperture settings (f/2.8 or 3.5) the results are just way too soft to be useful. The Sigma 70-200mm F2.8 EX DG Macro HSM II is a In almost all regards it performs well in everyday use, delivering good quality images across a broad range of situations.The focal length range and fast aperture are very useful features. This lens is excellent for portraits, sports, landscapes and other general-type shots including those taken in lower light levels. I am all for saving money, but the savings is really only a value if the image quality matches what I expect to get from the lens – and my expectations are pretty high. APO: APO Lenses from Sigma have been made using special low-dispersion (SLD) glass designed to reduce color aberrations. EX: Sigma EX lenses have a black matte finish to them and is supposed to “denote a superior build and optical quality, and to enhance its appearance.” Canon’s all white lenses definitely standout and say “professional” since they don’t match the typical black of most consumer lenses, but I happen to like the matte finish of the Sigma EX lenses. I have read that it shows more dirt (as black usually does), but I never had that problem in the 6 weeks that I used the lens. DG: Sigma DG lenses offer large-apertures, wide angles and short minimum focusing distances. They also feature a lot of peripheral illumination making them ideal for both Digital SLR’s nd traditional film SLR’s. HSM: (Hyper-Sonic Motor) – Denotes that the focusing motor in this lens uses ultrasonic waves to provide a quiet, high speed Auto focus.